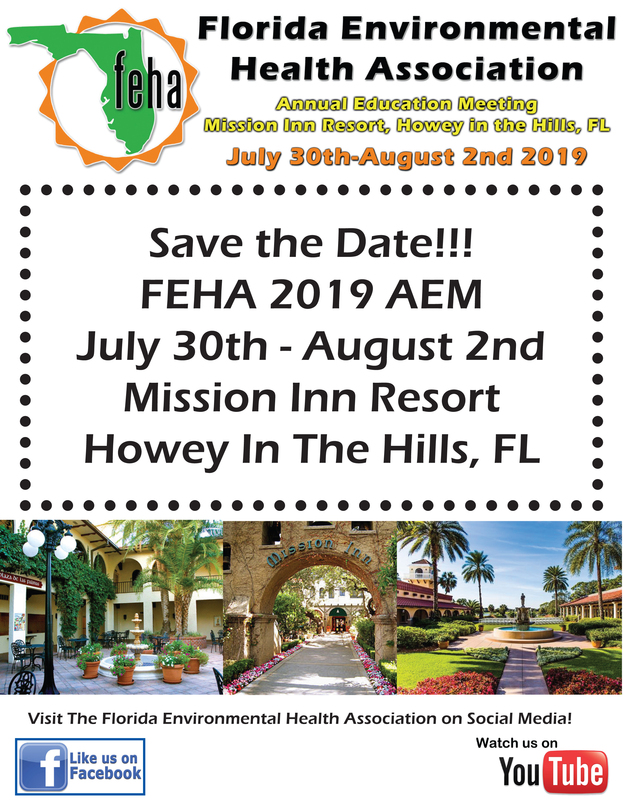 Click Here to Register for the 2019 FEHA AEM Training!!! We are proud to announce registration is open for the 71st Annual FEHA AEM Training. You may click here to register for the AEM Training. 1. Benefit Summary: NAME is a POSITION for PROGRAM BUREAU whose position responsibilities include managing, analyzing, and interpreting environmental health data. His/her participation in the 2019 Florida Environmental Health Association (FEHA) Annual Educational Meeting & Training will support interaction with public health and environmental health professionals to share best practices and research findings. The conference includes training in SESSION TOPICS and NAME will have the opportunity to go to a variety of trainings, breakout sessions, keynotes, and other scheduled events facilitating state- and local-based epidemiology, environmental health, and public health surveillance. At the conclusion of this training NAME will be able to share relevant information with other staff members and departments. 2. Travel Grant or Statutory Requirement: Partial travel grants are awarded through FEHA based on availability. 4. Aligned with or support for which Agency Strategic Priority: This trip supports the following Agency Strategic Plan Priorities for the State of Florida: Long, Healthy Life and Effective Agency Process. 7. Attendance at the Florida Environmental Health Association (FEHA) Annual Education Meeting & Training (AEM) is needed in order to train Department of Health employees to complete statutorily required duties as set forth in various State of Florida Statutes and Rules which includes but is not limited to: Section 64E-6 F.A.C., 64E-16 F.A.C, 64E-19 F.A.C, 64E-28 F.A.C., 64E-11 F.A.C, 64E-12 F.A.C., 64E-9 F.A.C, 64E-8 F.A.C and Section 381 of the Florida Statute. If you are interested in developing a class for the 2019 FEHA AEM or would like to be a speaker at one of our sessions please visit our abstract submission page or contact Info@FEHA.org for more info. FEHA is now taking applications for 2019 AEM Scholarships. Scholarship award recipients will be given admission to all classes and networking events with the exception of the CPO class and the RS Test. The deadline for turning in all applications is June 1st 2019.